Last night I saw the movie Collateral Beauty. Stay open to see the beauty in the most damaging and difficult experiences imaginable. Be changed by loving and appreciating them for ALL they brought – the joy and the pain. And here we are. The last day of the 2016 and at the prompting of my friend and spiritual badass, Jill Prescott, I decided to declare and acknowledge the gifts of my year. Not just what I experienced but HOW I showed up and what I SAW and learned about myself in the process. It’s a powerful list to write and have in my back pocket. It’s empowered me to know it, say it out loud and now, share it. Everything that happens to us is a teacher and a guide. Everything. So don’t waste an opportunity to be changed and grown by your own experiences. To be shown your own brilliance, capacity and impact. Throw it a heroes parade. And don’t fear what you might see or learn because when you get closer… it’s ALL seeded in Love and the Ferocity of spirit it takes to live this life and to be here fully. Don’t just rush to complete the test. Be a witness to what you learned. Soak it all in. Take 15 minutes and explore not just what happened but how you changed. Document it and honour the love lost, joys gained and understanding acquired at every turn. Honour and accept your year just as it was without shining light on the “best” parts. Because they are all BEST parts if you are willing to see it that way. Because they made you who you are today. We are badasses, each and every one of us if we allow us to be seen by ourselves this way. 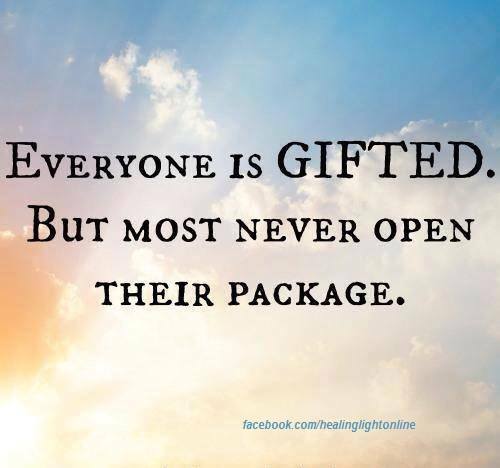 Give yourself the gift of seeing ALL of you. And to love you for all of it. Below is my list and know that yours will look and feel different because it’s YOURS. So honour you and it for however it shows up, with love and learning as your intention. If you want someone to witness your declaration, share it below in the comments, email me or head over to Empathetic Badass group if you need a safe space to be witnessed an honoured too. Launched and FILLED two group programs at the same time, with ease! learned that this was a gift for them as much as it was for me. learned what I do is needed in the world and that it’s time to step out more boldly knowing what I know and accepting what I don’t. accepted the compliments and statements of impact and said thank you as I owned their truth. lived from a place of humility and “weakness” only to learn it’s strength and power to break down walls and barriers for others. completed a 1000 pc puzzle with help. But I finished something I started and it was hard but so rewarding. I am proud of who I was, who I became and who I am becoming as a result of the above. Thank you 2016. I am complete.